I’ve been writing ever since I was in elementary school. My first story was called The Ten O’Clock Alarm Clock that Would Not Stopand I wrote it when I was eight years old. It was about a man who kept getting fired from all his jobs because his alarm clock always rang late –at ten o’clock. I didn’t write that story to be published–I didn’t even write it for school. I was writing for fun. And you know what? Even though I make my living as a writer, I still write for fun. I love all the different ways we have to tell the stories of our lives…..in books, songs, poems and film. Since that first story, I’ve written hundreds of songs, poems and books. 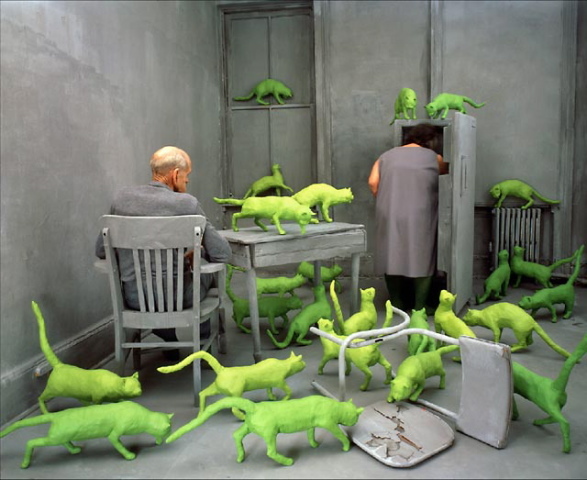 You can read my first story in the “Other Writings” section…if you promise not to laugh! I was born in Brooklyn, New York. My family moved to the Washington, DC area when I was about eight years old and I’ve lived in Maryland ever since. Did you have any favorite books? Yes. 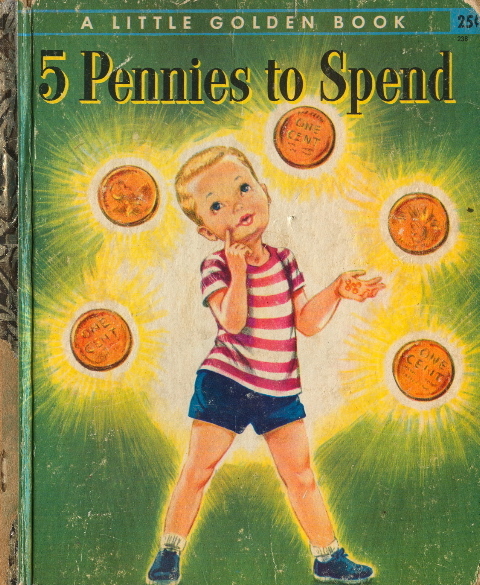 One is a picture book called Five Pennies To Spend and it’s about a boy who is sent to the store for some bread and is given five pennies to spend on himself (back when five pennies could actually buy something!) On the way, he meets many desperate animals who need basic, simple things just to survive. When he gets to the store he eyes the lollipop he really wants but instead buys food and supplies for those animals he encountered en route. He distributes it to all the animals on the way back and when he gives his mother the bread, she finds the lollipop for her son at the bottom of the bag from the shopkeeper. It’s a great story and I never forgot it. 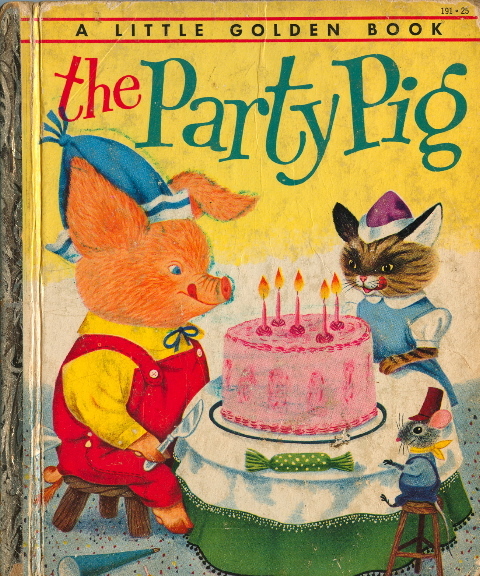 My other favorite is The Party Pig, a story about a little pig who is having a birthday party. When his mother leaves for the store to pick up some last minute things, he is visited by many different animals from the farm and each has a sad tale to tell; the hen will be slaughtered if she doesn’t give eggs; the cow will be taken away if she doesn’t give milk. Of course, the party pig empties out his entire pantry and invites them all to his party that afternoon. When his mom returns, she discovers that he has given away all the food and there is no way to have a party for him. But when the guests arrive, they have each made food with part of the ingredients they had borrowed from him. And you remember these stories? Actually, I saved these books and still have them. I read them to my kids when they were little and I am sure they influenced me when I was young. In fact, I think the book Ferdinand The Bullprobably influenced an entire generation. It’s about a bull who refuses to fight in the arena and all the bullfighters keep trying to provoke him but all he wants to do is sit and smell flowers. Eventually they return him to the fields. 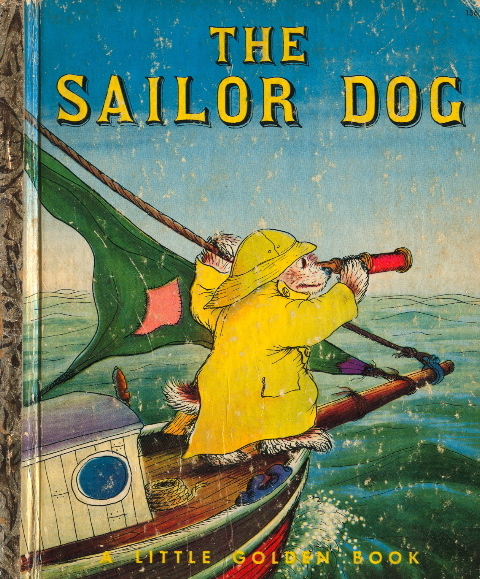 Another story I remember was about Scuppers, the Sailor Dog. The illustrations were really vivid. 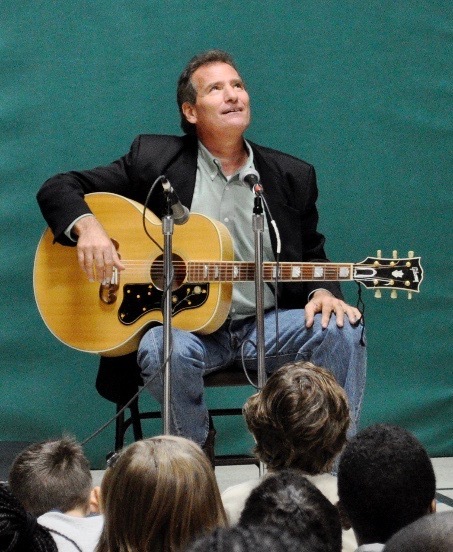 I liked to read and to write, but I never thought I would make my living as an author or songwriter for children. I went to college to be a teacher and while I was in college, I was invited to a school to perform. I sang some songs I had written and the kids nearly fell out of their seats with laughter. When the show was over, a dozen kids came up to me and wanted to know how I wrote my songs and where I got my ideas from. Within minutes, a teacher came up to them and began yelling at them, telling them to be quiet and to get back in line. “Wipe those grins off your faces,” she said, “you’re acting just like children.” I quickly wrote down everything she said and went home that night and wrote a song about a mean teacher. I sang the song at another school a week later. Is that how you began your career? Not long after I wrote the song about the mean teacher, my phone started ringing. “Is this Barry Louis Polisar?” I would hear. “Is it true you wrote a song about a mean teacher?” “Yes,” I would say sheepishly. “Well, I’m a teacher and I want to know if you can come to my school and sing that song.” I never expected that would happen, but it’s a true story and led to my career. I don’t sing that song too much anymore because–as everyone knows–they don’t make mean teachers anymore! So hearing a teacher yelling was the start? When I wrote that song about the teacher, something else happened. I realized that I could write about everyday experiences. I could write about my younger brothers and sister, parents, grandparents, uncles, aunts and cousins. I would be over my family’s house for dinner and my mom would try to get my younger brother to eat his food by comparing his plate with mine. “Look,” she would say, “Barry ate all his vegetables, why can’t you be that way?”. I remembered being compared to the older boy that lived next door and I went home that night and wrote another song —He Eats Asparagus, Why Can’t You Be That Way? Where do you get your ideas for your songs and stories? I write a lot about my own family and friends. I like to find the humor in everyday life and write about it. With an uncle who lived in a tent and a mother who owned twenty-seven cats, I figure I know how funny everyday family life really can be. People think I make a lot of this up, but I really do get many of my ideas from my own family. Do you write about your own kids? When my kids were younger, I wrote many songs about them. One song I wrote when they were babies is called Diaper Rash. When they got a little older I wrote another song based on our lives at the time; it’s called Potty Training. I think it’s important to know that you can use the creative process to write about anything from your own experience. How long does it take to write a book or a song? Sometimes it takes years. I spend a lot of time working on my books and songs. I don’t just write the first thing that comes to me; instead I write and re-write and revise my stories, poems and songs over and over…..In my school programs I talk a lot about all the rough drafts I do on my work. Do you travel around the county visiting schools? Yes. My job as a performer and author takes me all over the country–and even to Europe. I’ve played at The White House, The Smithsonian Institution, The John F. Kennedy Center for the Performing Arts and in hundreds of schools just like yours. I live in Maryland with my wife, my daughter, my son, a dog, and a cat. Our kids are older now–all grown up! My daughter did the funny artwork for the cover of my last CD when she was in fifth grade. My son began playing clarinet when he was in elementary school and joined me on my last CD, playing clarinet and saxophone. When I’m not writing or performing, I like to ride my bike along the bicycle trails near my house and since we live next to the Patuxent River, I enjoy kayaking next door. No! A few years ago, we bought a house on 16 acres near the Patuxent River –but it wasn’t a mansion. In fact, I spent a few years fixing up the house and cleaning the land; hauling away over two hundred old tires, a dozen junked cars, half-buried trash, rusty scrap metal, and collapsed and rotting buildings. My kids thought I had a new job; driving around in a beat up old pick-up truck hauling away junk every day. You can read about this project and see “before and after” pictures in the “Tireless Efforts” story in my “Other Writings” section. Kids always want to know if I live in a mansion. The real story is even better. Yes! I recently finished three new books now — one is a new poetry book on fish. I wrote a chapter book about the Amistad slave rebellion that I started twelve years ago and I also published a 2-CD recording of my worst songs…that’s right: The worst of Barry Louis Polisar! It was fun taking my failed songs and rewriting them into totally new and different works. Where can we hear your songs? You can listen to all my songs right on my web site. I hope you can find my CDs and books right in your local library–or maybe even in your own school. Did you play music when you were growing up? I had a guitar when I was growing up, but I didn’t know how to play it. Some people say I still don’t know how to play the guitar. What kind of music did you like to listen to? You were influenced by Alvin and the Chipmunks? Yes, I listened to the original albums from forty years ago and there was definitely an edgy feel to those old songs. I listened to a lot of music when I was little. I had the soundtrack to one of John Wayne’s western films called The Sons of Katie Elder. 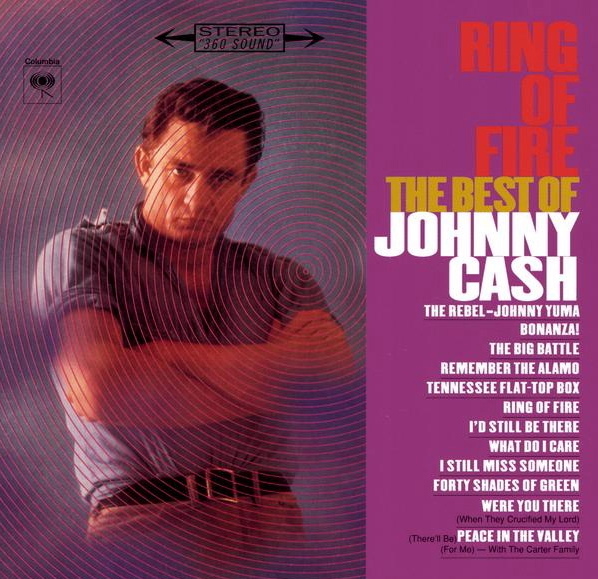 Johhny Cash sang the theme music to that movie and I think that is how I discovered Johnny Cash’s music. I had one guitar lesson in elementary school but my teacher said I had no talent for the guitar and should consider another instrument–like the tuba! I always liked music and I always liked to sing. One of my earliest memories of childhood was riding the yellow school bus every morning to school, where I sat directly behind the bus driver and proceeded to sing just about every song from Johnny Cash’s Ring of Fire album…of course the bus driver probably went home to his wife everyday and said, “Mildred, that crazy kid sang all the way to school again.” Roger Miller was another favorite. 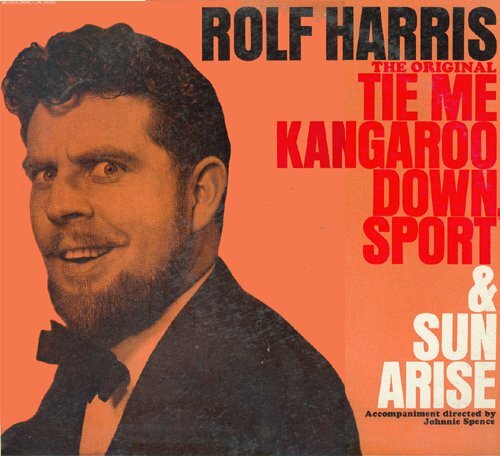 I was a big fan of the Australian singer Rolf Harris. I had his album when I was about seven or eight years old and loved every song on it. Years later I can still remember every word of every song. I loved the unusual instruments he used on that album and the weird things he did vocally. Do you have a favorite children’s author? Shel Silverstein is probably my favorite. I had his very early books when I began writing —The ABZ Book and Uncle Shelby’s Zoo–and they definitely appealed to my own sense of humor. 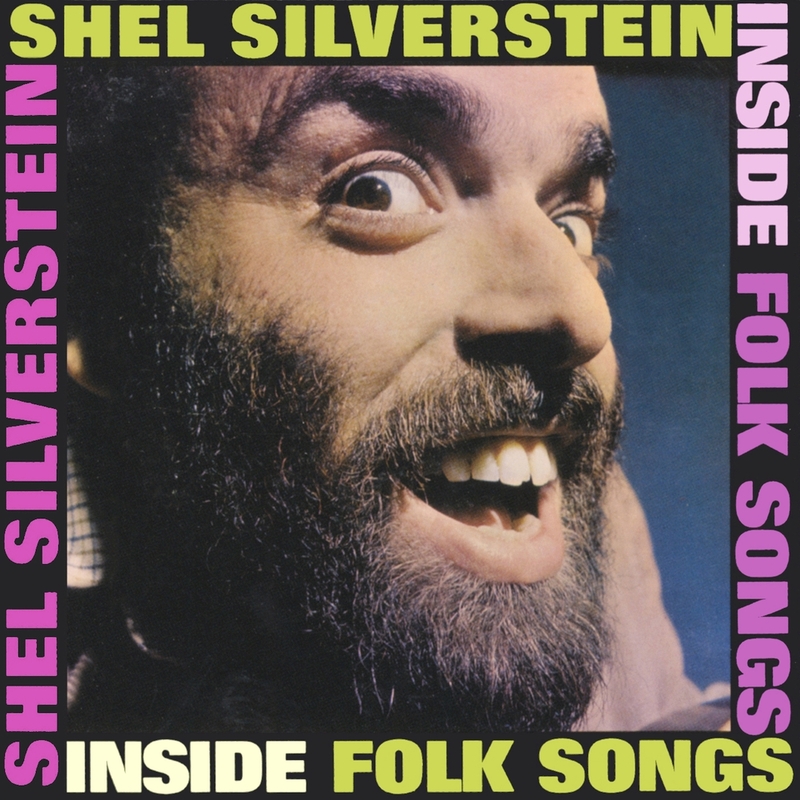 Shel Silverstein was also a very funny songwriter. I had his early and wonderfully weird “folk” albums from 1962 and 1965–and he wrote some great songs but his better known books came out around the same time as my early recordings so I can’t really claim him as an influence. We literally ran right into each other one day down in Florida, almost knocking each other down. Were there other people recording for kids back then? Not too many. After I released my first recordings, PJ Swift sent me some of the early recordings of Jim Copp and Ed Brown which I thought were wonderful. I even wrote two pieces on my Naughty Songs album that were homages to their work: The Poetry Lesson and The Man and The Chicken. I had the wonderful privilege of interviewing Jim Copp before he died and chatting about his work for a radio series I was recording. Have you met any other famous authors for children? Yes. Judy Blume and I have both been involved in anti-censorship forums and we met at a conference a few years back. It was a treat discovering that she was a fan. Jack Prelutsky has anthologized a couple of my poems in two of his books and we got to meet when we were both featured at an education conference together. I’ve met a lot of other authors when I do programs at library conferences and workshops. I was only an average student until I got to High School and we began studying poetry. Books and literature really did change my life. The writer Henry David Thoreau influenced me when I read him years ago. “If only the birds with perfect voices sang,” he wrote, “the forest would be silent.” Later, the essay Think Little by Wendell Berry really had an impact on my thinking. He wrote about how doing the small important things in our everyday lives can really change the world. Do you have a favorite writer now? Yes, there are many: Tom Wolfe, John Irving, Barbara Kingsolver to name a few. David R Slavitt is my favorite poet. My last semester at college, I had the chance to take my first writing course…and David Slavitt was teaching it and I knew his work. I often talk about his poems in my school visits and if the world was perfect he would be one of the most famous writers alive. He is a wonderful poet and a gifted novelist as well. Do you have any favorite songwriters? 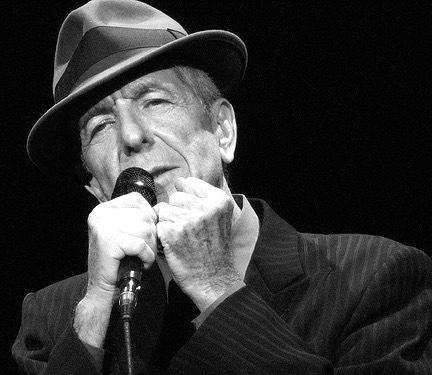 Leonard Cohen has always been a favorite of mine. His music has changed over the years but his writing is still crisp and amazing. He is not a writer for kids but his song “Hallelujah” was used in the movie Shrek. Of course he’s been writing masterful songs for forty years and I have every recording he has made. Did his work influence you? 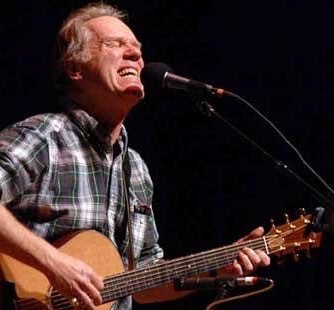 I think the songwriter who influenced me the most was Loudon Wainwright III. I first heard his albums in 1970, a couple years before his “hit” with Dead Skunk.Good thing, too. His early albums are still among my favorites. Funny and heart breaking at the same time, his best songs are written about his own life and family. I discovered the songs of Townes Van Zandt that same summer. I was also listening to the early songs of Bob Dylan, Tom Paxton and especially Phil Ochs. Another influence was John Prine. I was sixteen in 1970 and heard Kris Kristofferson singing in Central Park in New York. He told the audience he had just gotten back from Chicago the night before and heard a new songwriter. He sang two of John Prine’s songs that night and I spent the next two years bothering every record store owner I knew trying to find out when Prine’s first album would be released. 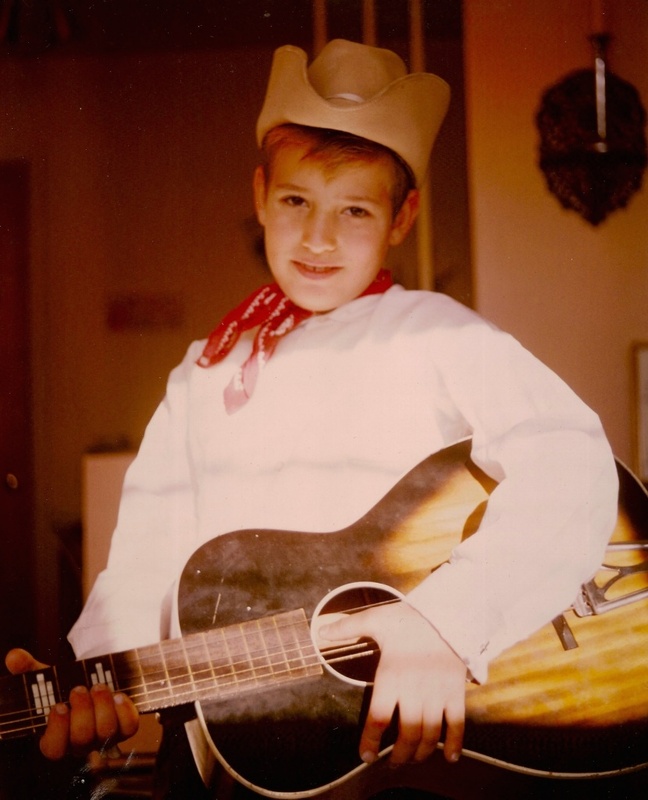 In fact it was the songs of John Prine and Kris Kristofferson that were really responsible for me playing guitar. I started late. After High School, my friend Mary and her family were going out west and invited me to come along; every night, we’d sit around the fireplace in a cabin in the mountains outside of Tucson, Arizona. We’d all sing while Mary’s two older brothers played guitar. And they played all my favorite songs by Bob Dylan, Kris Kristofferson and John Prine. That was when I realized I wanted to learn to play the guitar and my early song writing was very reminiscent of these songwriters; I hadn’t found my own song writing voice yet. I’ve never heard of some of these writers. How come? I have always been drawn to writers who aren’t part of the mainstream of popular culture. And I tend to like songwriters who are also storytellers, like Guy Clark and John Hartford. Jack Hardy and David Massengill are two other favorites. Jack has been writing great songs for decades. I first heard him play in 1976 and immediately fell in love with his song writing, his voice and his playing. He’s got over a dozen albums out and I have favorite songs on each one. I discovered David Massengill a couple years later. 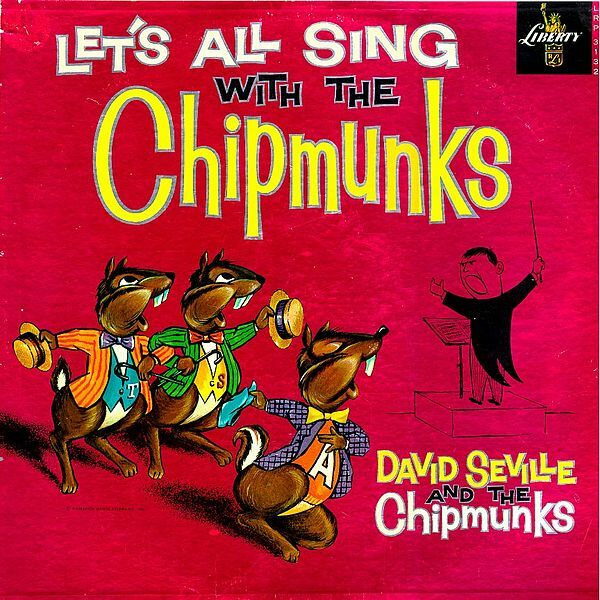 David has written some wonderful songs that tell funny, witty and heartwarming stories. We sponsored a house concert for Jack Hardy a few years ago and I was happy to find out that Jack’s kids–now grown–had my early albums growing up. Last summer, I got to play at Jack and Laura’s Festival of the Bards in Calicoon, New York. You said you were going to be a teacher…was that what you studied in college? Actually, no. I wanted to be a teacher but I studied literature and film; my wife says I majored in cowboy movies. Film is another wonderful way of telling stories. John Wayne was my hero when I was a child because of the “Westerns” that John Ford made with him. It was great to watch these films again as an adult and see how complex they really are. They are much deeper than what they appear to be on the surface and tell very interesting stories. John Wayne often plays against his own image in many of these films; in The Man Who Shot Liberty Valance, he shoots the “bad guy” from a darkened alleyway, thus violating his own moral code in order to do a higher good. But good guys don’t do that, do they? That’s what makes the film interesting. In The Searchers, the character he plays is clearly not the moral hero in the film. He’s heroic but his character is flawed and vengeful. That of course helps make this film a masterpiece from it’s opening shot of a ranch house door opening, to the final image of the door closing, leaving him outside of the community. You have to watch a good film carefully or you will miss the important stuff that’s happening on the edges. In The Searchers there is a scene that reveals much about the main character’s motivation, but the camera is focused on another character swishing his coffee around in his cup when he accidentally observes a moment of tenderness that he shouldn’t have seen. It happens quickly and is never commented on, but the film centers on what has been revealed in the background of those few moments. But it’s a cowboy movie, right? Well, its really much more than that. David Slavitt wrote a wonderful poem about the film Ride The High Country by Sam Peckinpah, another one of my favorite movies. I love how Peckinpah first establishes the need for law and authority and then has his characters break the law in order to serve justice. It’s a complex film that works on many levels, like a good poem. Peckinpah’s Western films have a depth and morality to them, despite the way they appear on the surface. And isn’t that the mark of a wonderful poem: to work on two levels and reveal the real story that lurks beneath the obvious plot lines? Did these movies influence the way you write? Well, they influence the way I think, so they must. Howard Hawks’ Rio Bravo is another Western favorite that is really about so much more than what appears at first glance. This movie probably has more quotable lines than any other film and though it has its quirky moments, it is really a wonderful film about redemption and the value of the individual. Do you have any other favorite films? The film The Seven Samurai is a three and a half hour black and white masterpiece by Japanese director Akira Kurosawa that was made the year I was born (1954) and still resonates with a power and spirit that amazes me every time I watch it. Charlie Chaplin’s City Lights is another film that I would put on my list of films everyone should see. It’s a silent film from the 1920s and if you are not moved by the last few minutes, check your pulse. It sounds like you wanted to teach film. If you didn’t have the job you have now, is that what you would have done? I have the absolute best job in the world and really can’t imagine doing anything else. I don’t think I could find anything that would be more fun and rewarding. I think the best teachers really teach because they love sharing knowledge. I think you become a teacher because you want to expose people to the things that you are excited about; the things that you find enriching and give life real meaning. I would have loved a job where I could share my love of music, literature, poetry and film. And really that is what I do….so I guess I really am a teacher also.